Vickers Aircraft has unveiled a new LSA amphibian design powered by a Lycoming IO-360 engine that they say will be ready to start deliveries by next summer. The Wave prototype, which has been in the works for about three years, hasn't yet flown, but it's "80 percent finished, " company director Paul Vickers told AVweb this week. "We have achieved our production weights on completed assemblies that include wings and tail, " Vickers said. The components are built from a combination of aluminum and carbon fiber. "We can state with confidence that we will achieve our design weight to enable the Wave to be certified LSA, " he said. It will sell for under $180, 000, he added. Vickers said the Wave amphib will have a useful load of 500 pounds, a three-blade 72-inch prop custom-designed by Catto Propellers, wings that fold with the push of a button, and an optional ballistic chute. The amphib will compete in a crowded field, including the Icon A5, which it strongly resembles. Icon recently said it will roll out its first pre-production aircraft next summer, and plans to build three more to complete the ASTM compliance process before starting deliveries. 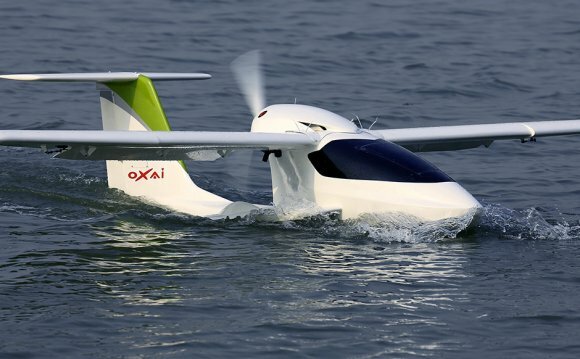 Lisa Airplanes, based in France, also is working on an LSA amphibian, with funding from China. Vickers says the Wave amphib will be able to fly at 120 knots for up to 720 nm, burning either avgas or auto gas. He said the company plans to have its prototype flying soon and use it for flight testing, and will have a second aircraft ready to deliver perhaps as soon as EAA AirVenture at Oshkosh in 2014.